After meeting the Barnes Family at Manchester’s Northern Restaurant and Bar Show, we were called in to ‘make a few changes’ to their Northwich pub, the Antrobus Arms. But, as is often the case when customers find out what Dawnvale can do, small ideas snowballed into big plans, and the family invited us to carry out a full, eight-week refurbishment at this beautiful country location. 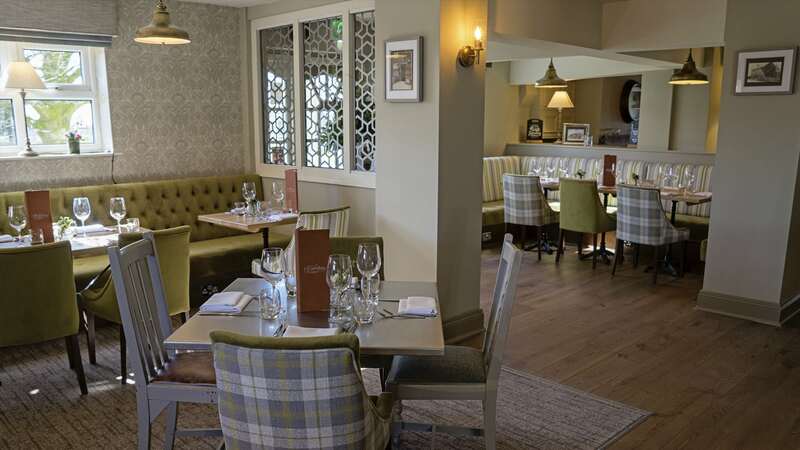 What attracted the Barnes family to Dawnvale was our ability to provide them with a complete and expert service: a pub fit-out managed right from design to installation. We created a new, welcoming space near the pub’s entrance by moving the gents’ toilets. We also knocked down a wall and pushed the bar area back, making way for more covers. A full kitchen fit-out is scheduled for phase two of our work with the Antrobus Arms. For now, we installed a top-rated Rational oven and a plate warmer to improve service. The Antrobus Arms serves a range of gins and cocktails, so we designed and built a commercial bar to suit, incorporating key features that the Barnes family had admired in our showroom. Taking inspiration from the pub’s original charm, we retained the beams and fireplaces as central to our design. New lighting, wooden floors, and Farrow & Ball paints result in a cosy natural style. We blended new furniture with old, distressing the existing fittings to match them with the new scheme. Soft greens and browns with hints of tartan and stripes add a contemporary touch. A mix of beautifully upholstered chairs, high stools and fixed seating creates a pleasant and adaptable space. The Antrobus Arms can now comfortably seat more drinkers and diners than before. The new bar was fully manufactured in-house at Dawnvale. In addition, we built waiter stations and a host stand, and stained them in a Jacobean style to match the original beams. We were impressed with Dawnvale’s eye for design, not only from an aesthetic point of view, but also how things should work too. A pub that looks great is one thing but it also needs to perform. Dawnvale do a range of styles of venues from big city centre bars right through to private home bars and country pubs.